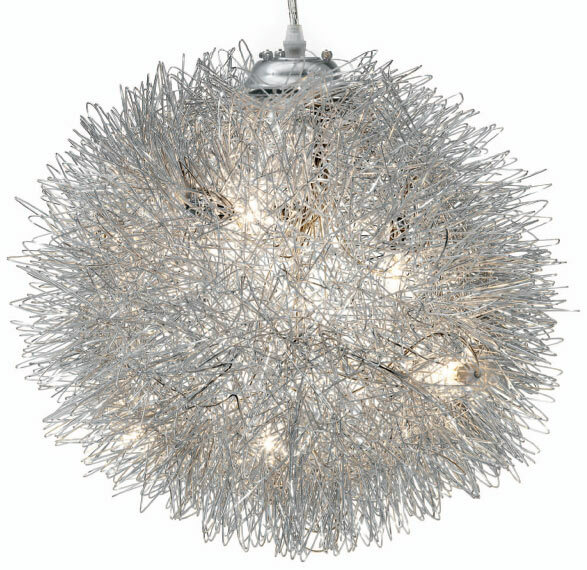 Filament Pendant Light will attract attention with its clean and elegant design. This designer fixture is made of aluminum wires placed in varying patterns around the (8) halogen JC bulbs at 10W each (supplied). A silver canopy is supplied along with 62" of clear cord to hang the fixture at your desired height. Designed to be hard wired.